Can’t wait for this show!! 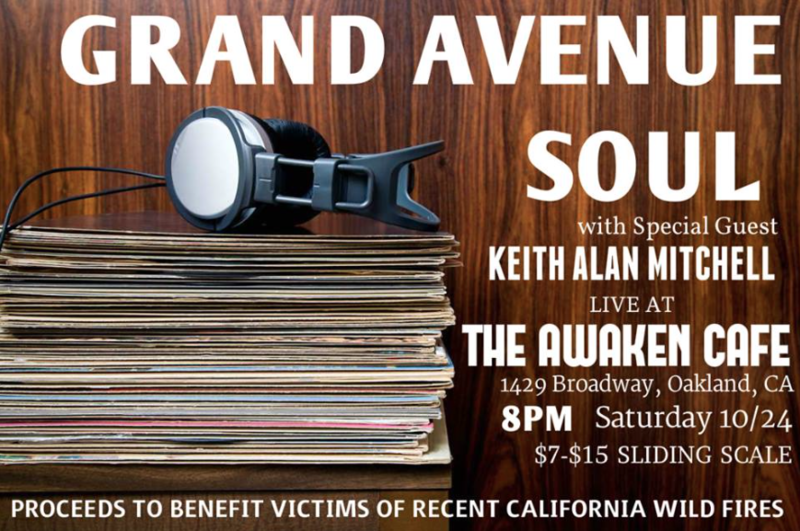 I’ll be opening up for my friends Grand Avenue Soul on Saturday, October 24 in Oakland at the always outstanding Awaken Cafe! They’re sure to get you up and dancing with some great old funk, soul, and R&B! A portion of the evening’s proceeds will benefit victims of the recent wildfires in our area. Plan to come out and have a great time, and do a little good while you’re at it! See you there!